We had a great featured attendee at our Fri-Apr-7 breakfast in Palo Alto, Brian Putt of Probability Management gave a short briefing on “How Entrepreneurs Can Use The Value of Information to Manage Uncertainty“ The “value of information” sometimes referred to as the expected value of perfect information, is a very useful concept. 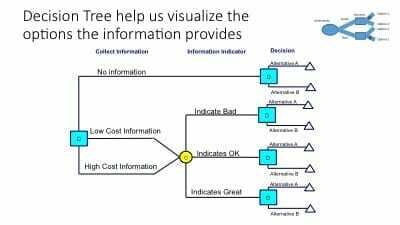 If the value of an experiment or what you learn from a test is less than what it costs to gather the information or run the test then you should not pay for it. Brian will provide some examples for entrepreneurs. Brian Putt worked 41 years with Chevron performing project and portfolio analysis in the petroleum industry both upstream and downstream. He holds a BA in Economics from Claremont McKenna College, BS in General Engineering Stanford University, and a MS in Operations Research from Stanford University. 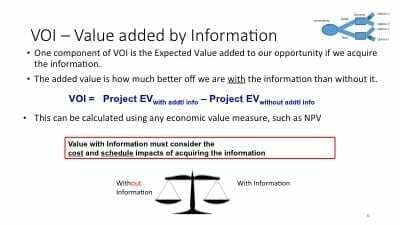 He worked on many of Chevron’s major capital projects over the past 25 years to include value of information evaluations. Brian is currently focusing on the use of SIPmath as developed by Sam Savage of Probability Management. 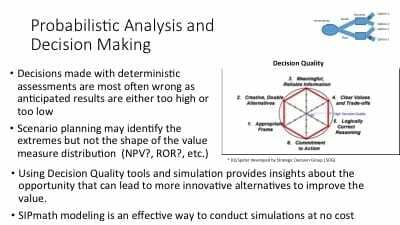 Brian has a YouTube channel that has a number of informative videos on Decision Analysis. SIPmath is a free plugin for Microsoft Excel that allows you to perform arithmetic on uncertainties just as you would with numbers; it makes the abstract concept of a probability distribution actionable, additive, and auditable.